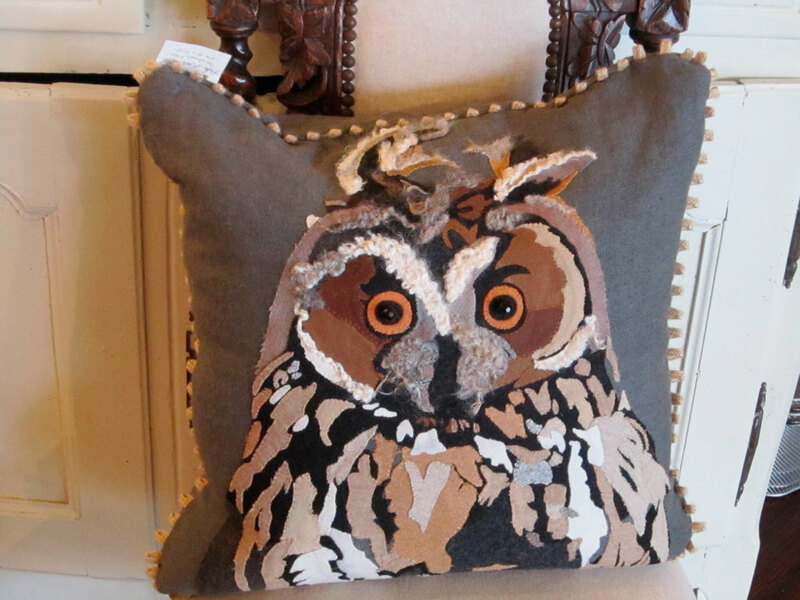 ound this wonderful Art Pillow at Erika Reade Ltd while shopping last week. It was designed by local Artist Sonja Zelen and is simply beautiful. All of the piece work is done by hand on a gray wool background. The small ball trim is just the perfect finish to this charming little jewel. I love finding local art work for your home! Go shopping and support a local artist. You will have a one-of-a-kind beautiful house! I am really enjoying your Blog……it is great!! Thanks for the lovely write up and photo of my pillow!